This personalized Catholic Bible Cover features a graphic Marine design printed into the cover and i..
Who am I in Christ? 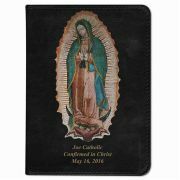 Chosen, perfected, redeemed, at peace, forgiven, cleansed, holy, blameless, righ..
(Black Deluxe Cover, Gold Edged Pages)An all time favorite Catholic Prayer Book 4" x 6" Includes the.. 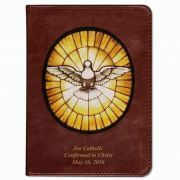 This personalized Catholic Bible features a graphic Holy Spirit design printed into the leather cove.. 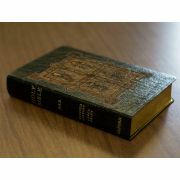 This personalized Catholic Bible features a graphic Marines design printed into the leather cover. T.. 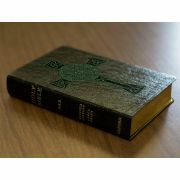 This personalized Catholic Bible features a graphic Celtic Cross design printed into the leather cov..
Joy - 10 pack Bookmarks.. 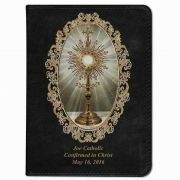 This personalized Catholic Bible features a graphic Monstrance design printed into the leather cover.. 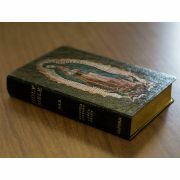 This personalized Catholic Bible features a graphic Our Lady of Guadalupe design printed into the le..
BKM PKT SISTERS IN CHRIST.. 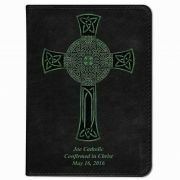 This personalized Catholic Bible Cover features a graphic Celtic Cross design printed into the cover.. 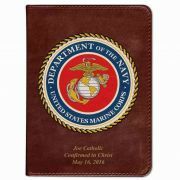 This personalized Catholic Bible Cover features a graphic Coast Guard design printed into the cover .. 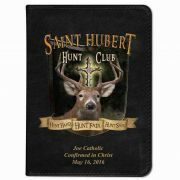 This personalized Catholic Hunter Bible features a graphic St. Hubert design printed into the leathe.. 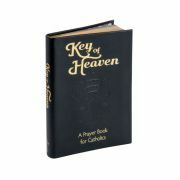 This personalized Catholic Bible features a graphic Book of Kells design printed into the leather co..
5" x 7" My Rosary BookA 24 page explanation of How to Pray the Rosary (10 Per Pack)..
Our Black Mini Pocket Edition King James Version Bible zips up to carry easily. 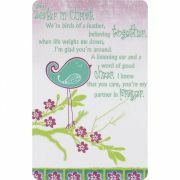 Its cover is constru..
KJV Compact Large Print LL Teal..
"John 3:16" (Brown) Tassle Bookmark..
"I Believe" LuxLeather Pagemarker/Bookmark in Purple..